Hilltop real estate, one of Denver's most prestigious residential neighborhoods, is a beautiful tree- filled area, southeast of Downtown Denver, extending from Colorado Boulevard on the west, to Holly Street on the east, and from Eighth Avenue south, to Alameda. Approximately one square mile in size, it is the highest point in east Denver, and classic Rocky Mountain views are protected here, by Denver city ordinance. 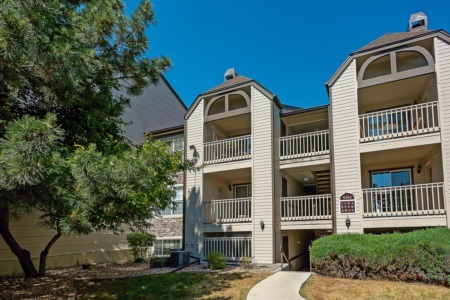 Hilltop real estate residents enjoy easy access to shopping in the nearby Cherry Creek shopping district, the new Lowry Town center, Downtown Denver, and a wide range of services and amenities in neighboring communities. Many of the homes in the Hilltop real estate are structures with historical, or architectural significance, not the least of which is the historic Cranmer Mansion. As a result, there has been a consistent effort to preserve more of these properties, thereby protecting the heritage and unique character of Hilltop real estate. In sharp contrast to nearby Cherry Creek North neighborhood, Hilltop has more than a few large, expansive single-family homes, on large lots, with mature trees and tailored landscapes. Homes in the Hilltop real estate district generally price higher than average, and here, roughly 2000 square feet. Hilltop real estate is comprised of old and new homes built by some of Denver’s finest builders and architects. Residents here enjoy Cranmer Park, with its distinctive Equatorial Sundial. The grassy median that runs the length of 6th Avenue, between Colorado Boulevard and Quebec Street has long been a popular place for everyone to walk, bike, and enjoy the wonder of stately mansions that line the streets here. With highly rated schools and convenient access to downtown, and the Cherry Creek shopping district, Hilltop real estate has long been the choice Denver's more affluent residents, and it remains so today.